AAX Repair is dedicated to getting one of our appliance repair technicians out to your home as soon as possible! We have the most knowledgeable appliance repair technicians in the area. We want to make it easier for you to schedule your own appointment. When you work with AAX Repair you can rest assured that your appliance will be fixed properly. This Form Is For Scheduling Appointments! We will diagnose up to 3 appliances! Every appliance repair service charges a basic service call. Our fee is cheaper than others in the area even Sears. Please be aware that you will be charged the service when the technician looks at your appliances. By filling out the appointment request form below you agree to a technician coming out to your home and the service charge of $90. AAX is different though! 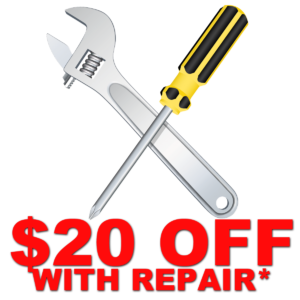 If we repair your appliance we will waive the service fee! Your service charge is free with repair!